Users are searching for 'WikiLeaks' in the public search engine for the U.S National archives end up with an error message that says the requested page has been blocked. But i have found another way to to list the all documents related to wikileaks by searching for the keyword '*ikileaks'. Now it displays the documents with a keyword 'wikileaks' ;) Also searching for the '?ikileaks' list the same result. “The US National Archives has literally turned into Orwell’s Ministry of Truth.” In another more vivid message, “The US state is literally eating its own brain by censoring its own collective memories about WikiLeaks.” WikiLeaks reacted on Twitter. Wikileaks was down around 10 days after massive DDoS attack. WikiLeaks says that they’ve been under attack since revealing TrapWire. But the hacker group called Antileaks claims responsibility for this attack. 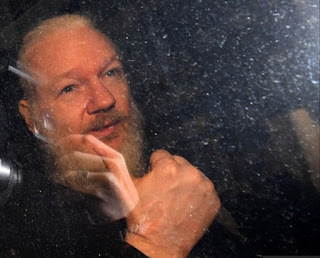 They said the attacks were in protest over the role of Julian Assange, who is currently the guest of the Ecuadorian embassy while waiting for his plea for political asylum to be decided. "I want to make it clear to all the conspiracy theorists out there that we have nothing to do with the United States Government or Trapwire," DietPepsi ,head of the AntiLeaks hacking group said. "We find it quite humorous to read all these Twitter comments from people who suspect us of being NSA/CIA/FBI/or even WikiLeaks themself,"
"We gave @wlpress a 5 minute advanced notice of our next attack to take down there backup mirror(http://mirror2.wikileaks-press.org) on August 10th. We also gave a 30 minute advanced notice of our attack on the President of Ecuador's website to the german tech publication Gulli . The logs of both servers will show an attack precisely when we said it would occur. These are irrefutable facts. " "In the end we cannot prove individually to every person that doubts our claims that we are behind these attacks. There are a lot of people who still don't believe we landed on the moon. We feel we have nothing left to prove to anybody." Wikileaks has been under massive Distributed-denial-of-service (DDoS) attack since August 3rd. Wikileaks says that it is 'DNS amplification attack', a type of DDoS attack that takes advantage of the fact that a small DNS query can generate a much larger response. The attack came after Wikileaks published the latest of its Global Intelligence Files (GIF), discussing the implementation of mass surveillance program called TrapWire in public spaces in the US. “Attacks on wikileaks-press.org escalated after Wikileaks retweeted links to our mirrors of leaked files from WikiLeaks on a newly discovered mass surveillance program known as TrapWire,” WikiLeaks representatives explained. In the meantime, Anonymous has revealed the start of Operation TrapWire. According to the hacktivists, the system uses facial recognition and complex artificial intelligence to monitor individuals, its official purpose being to prevent terrorism. However, the hackers highlight that the system gives governments and corporation “unprecedented data-mining capabilities” that violate human rights. Apparently, TrapWire doesn’t only monitor social media, but it also utilizes a number of CCTV cameras located in various places around New York, Los Angeles, Las Vegas, Texas, Washington, London and other cities in the United States. "The more we learn about TrapWire and similar systems, it becomes absolutely clear that we must at all costs shut this system down and render it useless. "Anonymous said in the press release. "A giant AI electronic brain able to monitor us through a combination of access to all the CCTV cameras as well as all the online social media feeds is monstrous and Orwellian in it's implications and possibilities. The Peoples Liberation Front and Anonymous will now put forth a call to arms, and initiate the doom of this evil and misbegotten program." The second DDoS strike on WikiLeaks this year has taken its site offline, Assange’s organisation says. The Wikileaks is down after hit by massive Distributed Denial of Service (DDoS) attack for last five days.The DDoS attack was started on August 3rd. This is not the first time the wikileaks is being DDoSed, the website was down for four days in May 2012. WikiLeaks is currenlty raising money for more bandwidth and is instructing readers and supporters to head to a mirror site to donate money. Wikileaks has begun publishing more than five million emails from private intelligence firm STRATFOR. The group claimed that those emails date from between July 2004 and late December. "They reveal the inner workings of a company that fronts as an intelligence publisher, but provides confidential intelligence services to large corporations, such as Bhopal’s Dow Chemical Co., Lockheed Martin, Northrop Grumman, Raytheon and government agencies, including the US Department of Homeland Security, the US Marines and the US Defense Intelligence Agency. The emails show Stratfor’s web of informers, pay-off structure, payment-laundering techniques and psychological methods" Wikileaks said in the press release. WikiLeaks has partnered with 25 media organizations to sift, analyze and publish those emails: It lists the Indian paper The Hindu , the McClatchy News Agency, the Italian newspaper L’Espresso and among them. Interestingly , the Wiki leaks has partnered with Anonymous Hackitivists ; Twitter accounts belong to Anonymous members announced that they gave the compromised data to WikiLeaks. "To clarify to all journalists – YES, #Anonymous gave the STRATFOR emails obtained in the 2011 LulzXmas hack to WikiLeaks"YourAnonnews tweet says.